Flood Zone Newsletter September 2016 - Arkansas Floodplain Management Association, Inc. 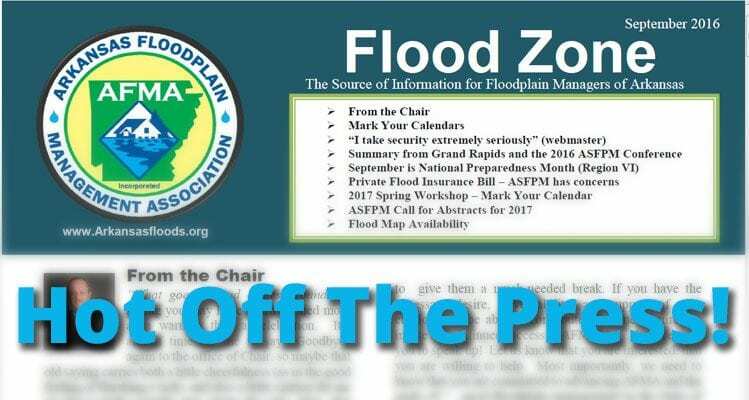 The latest edition of AFMA’s Flood Zone is here! Click here to read the Flood Zone now (PDF). This entry was posted in Announcements, Flood Zone Newsletter. ← Hotel conference rate of $89 extended!